A new study tracked home loans to wealthy buyers in poor neighborhood. Many of the home loans in low- to moderate-income neighborhoods in California went to higher-income borrowers – painting what seems to be a statistical portrait of gentrification, a new report from The Greenlining Institute found. The research, based on 2015 federal Home Mortgage Disclosure Act data analyzed by the National Community Reinvestment Coalition, also found racial disparities in lending and an onslaught of non-bank lending statewide. White Californians received twice as many loans as communities of color per capita. In rapidly gentrifying Oakland, white residents were almost five times as likely as their black neighbors to receive loans. Loans to home buyers in low- and moderate-income neighborhoods earn banks credit from regulators for fulfilling obligations under the federal Community Reinvestment Act. This study suggested some of those loans in California went to wealthy borrowers who replaced long-time residents. The Greenlining report found that more affluent buyers often replaced low- and moderate-income families in what were previously low- and moderate-income neighborhoods. The report called for more research into the underlying causes of this pattern, and warned that it could indicate that gentrification was displacing working class Californians. This is more apparent in some communities. In Long Beach, three out of four loans in working-class neighborhoods went to middle or upper income buyers. The report also found that half of California’s largest lenders were non-bank lenders such as Quicken Loans and Loan Depot. Non-bank institutions are not required to follow the Community Reinvestment Act, a federal law that obligates banks to make housing and small business loans in the neighborhoods where they take deposits. Non-bank lenders tend to charge higher rates and fees to their borrowers. Meanwhile, big banks have sharply reduced their lending to working class communities and borrowers. “I find it alarming that in Fresno, 9 out of 10 of the largest financial lenders are non-banks” said Jason Richardson, Director of Research at the National Community Reinvestment Coalition and a co-author of the report. 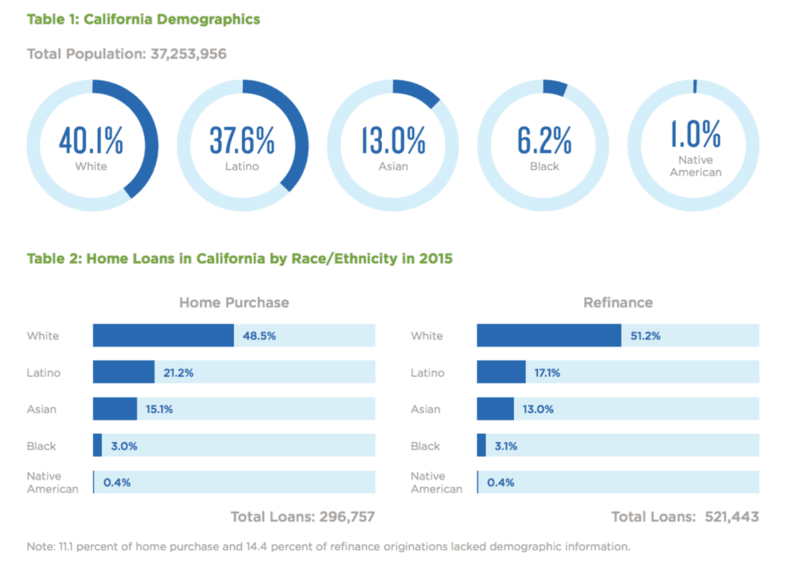 View the report: State of Gentrification: Home Lending to Communities of Color in California. NCRC provides research support to members and produces custom analysis. To request a report, contact Jason Richardson, Director of Research, jrichardson@ncrc.org.